If I had a dime for every time I have heard this one then I swear I would be a billionare by now and not having to work. Consider that at times retirement and reality has to kick in. Just ensure it does not kick in when the money dries up! Buying and running a bar in Pattaya is a tough business and anyone who has lived in Pattaya or for that matter Thailand would know the economics dont always work out. Many who do retire want something more than just simple retirement. In 2003 I met a great American bar owner who bought a bar for no other reason than to have his own retirement fun. He calculated what he could afford to loose each month and filled that up with his monthly pension income. The only reason why he did this was so that he could entertain many of his friends that also retired and as they had all been ex-military so it gave them a place to gather and talk US politics in the middle of the entertainment zone in Pattaya. It was fun but he knew that it would never make money and was happy with it. There lays the key to it all. The reason why you would want to own a bar in Pattaya. If you want to make money – its going to be tough! Bars in Pattaya tend to have their regulars as some of the bar owners are a personality on their own. People who come in for a drink tend to be people they know or have met over the years in Thailand or in their own home country. In other words a bar has a personality. When you buy a bar the personality falls away as the bar was only special as “Jim” or “John” owned it and people came to visit him – not the bar. So what might make a profit today when changing hands might never make a profit ever again. Many of those who had capital bought a guesthouse. In Thailand most bars are built in what is called shop houses. Some decide that they can make extra income by changing the top floors into a cheap guesthouse in that way they can make more money. Some have worked well while most have simply failed! Over the past 4 years the government has become very strict with regards to the entertainment industry. You now have to have an entertainment permit which many tend to place into the name of a woman they THINK they love and had just met. The provebial “Lek” as the saying goes. They also tend to do the really crazy thing and place the lease into her name. Pattaya being Pattaya comes with its own problems in the entertainment industry and when fallouts occur – there goes your bar and guesthouse! Always take legal advice from a lawyer in Pattaya who knowns the pittfalls and ensure that if you are using your pension money that you dont loose it to the first woman who walks into your life. 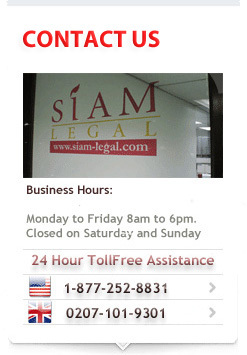 Speak to us today about Pattaya and legal help in Pattaya!